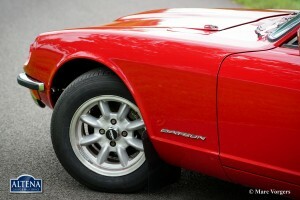 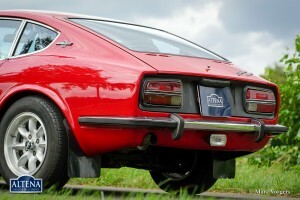 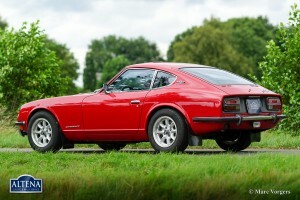 Datsun 240Z was presented in the year 1969. 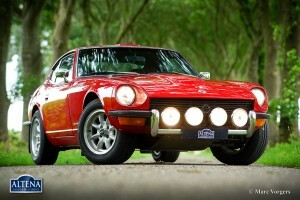 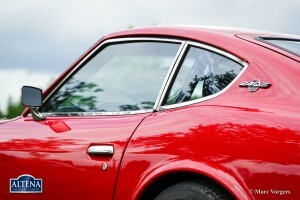 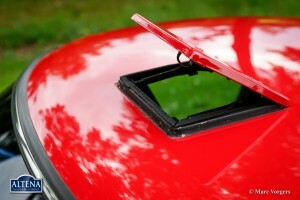 In Japan the car was sold under the name Fairlady Z. 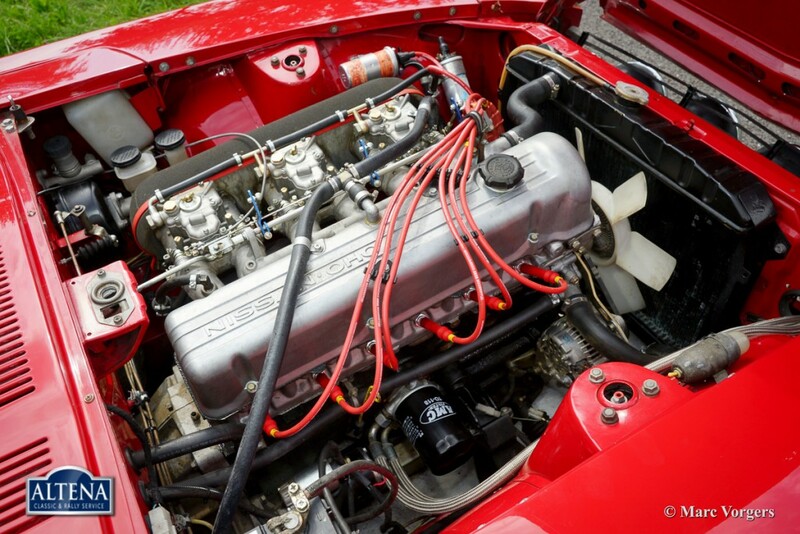 The beautiful lines were drawn by Graf Albrecht Goerz who was also responsible for the magnificent design of the BMW 507. 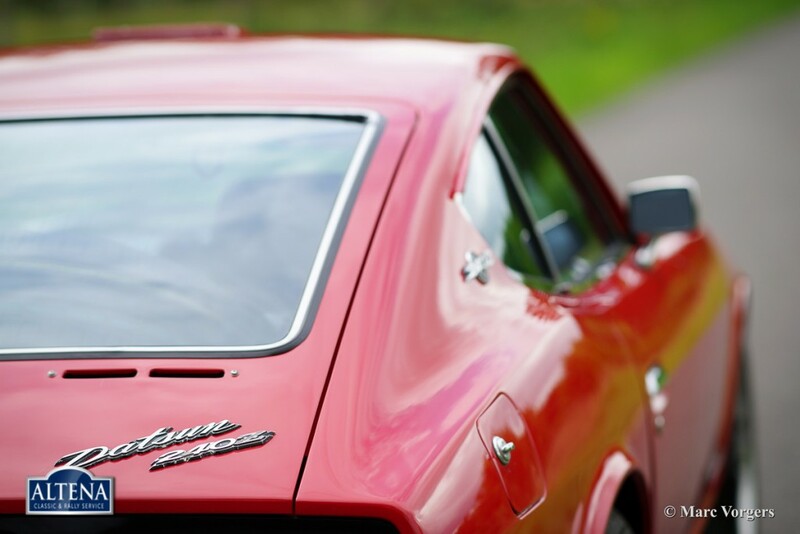 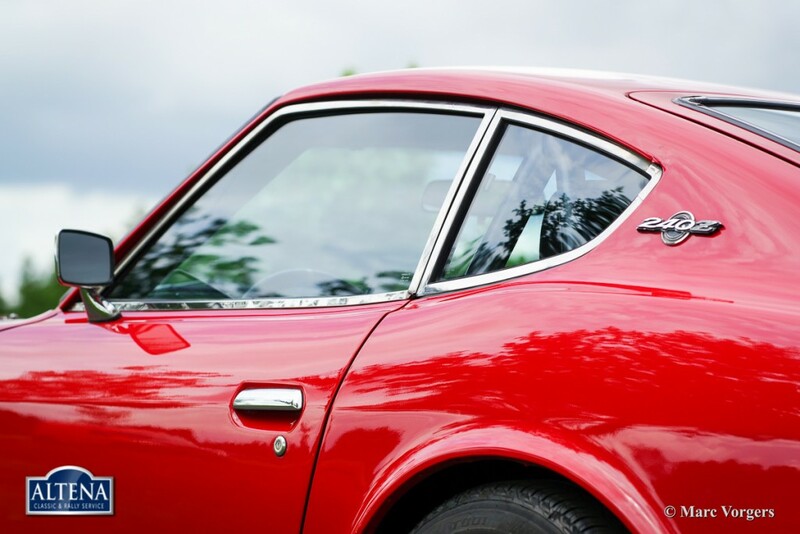 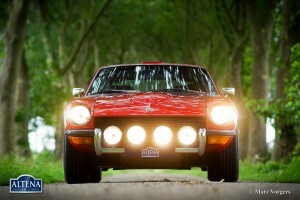 With the Datsun 240Z the factory hit bulls eye, the car became the best sold sports car in the seventies of the twentieth century. 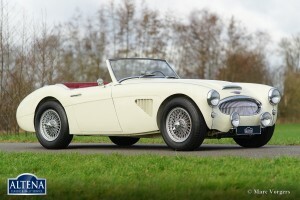 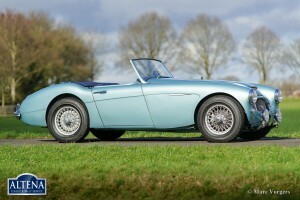 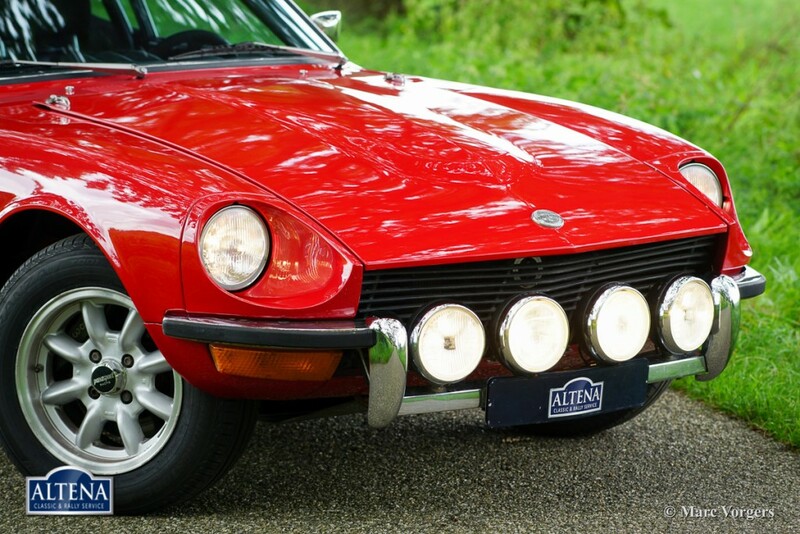 The British sports car builders like MG and Triumph did not see the ‘bomb’ falling… They were blown away from the important US market by the successful 240Z. 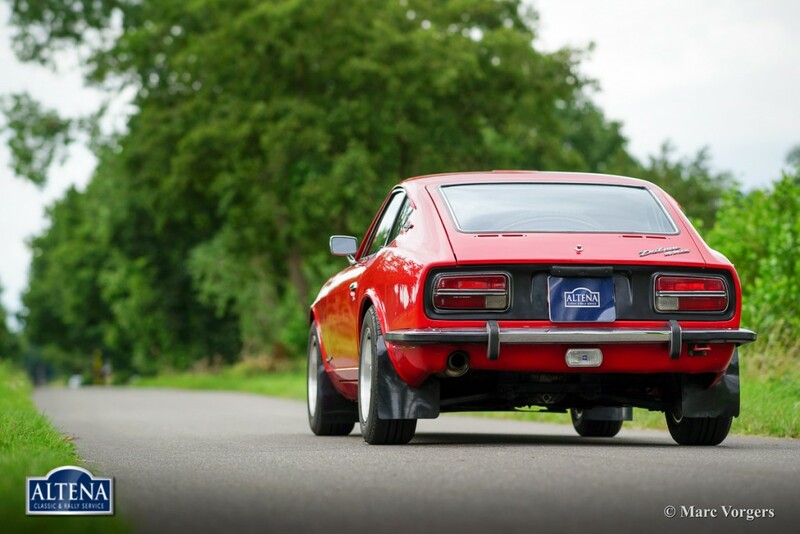 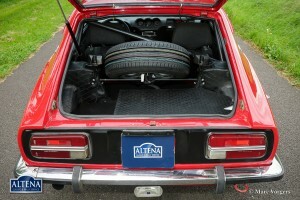 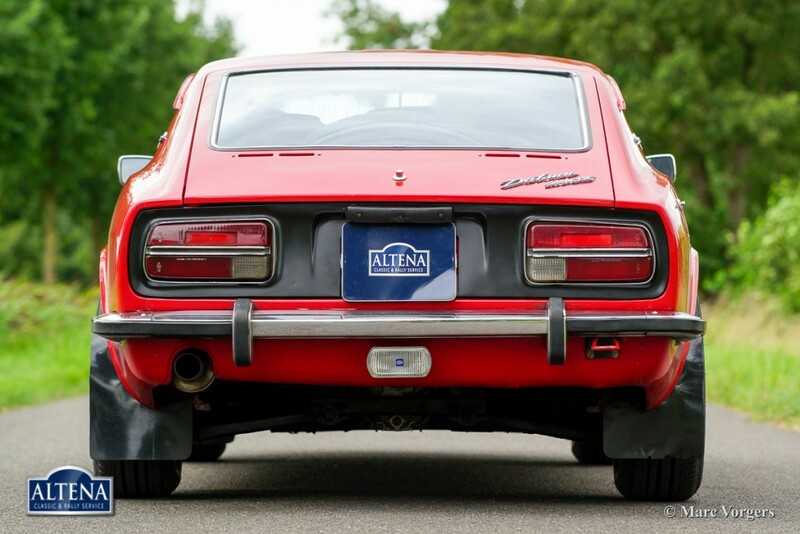 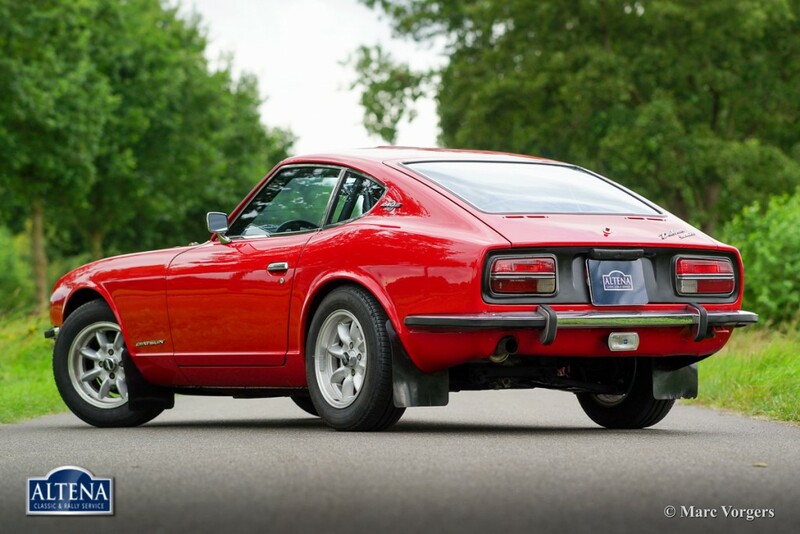 The Datsun 240Z was build with a unitary bodywork structure, independent suspension all round, and powered by a smooth and powerful six cylinder in-line engine. 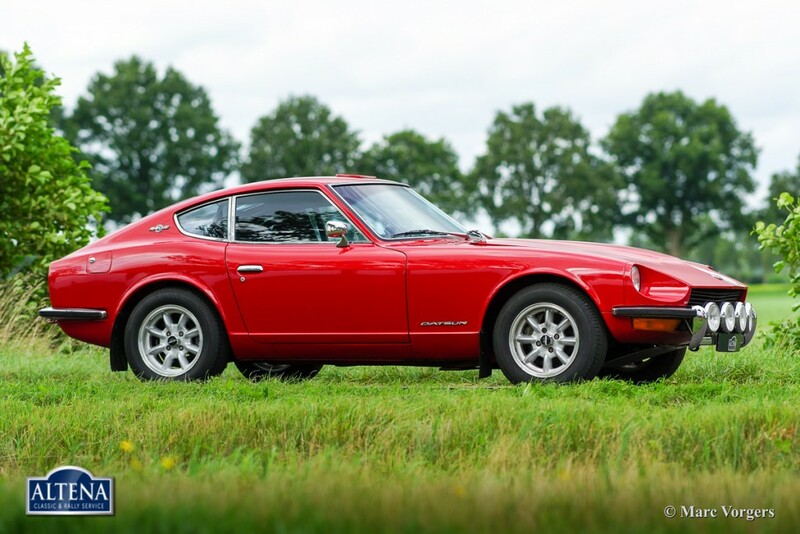 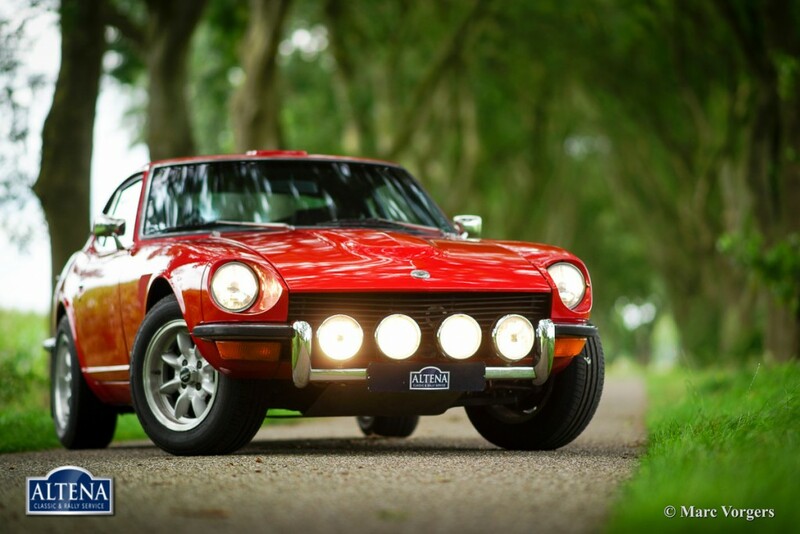 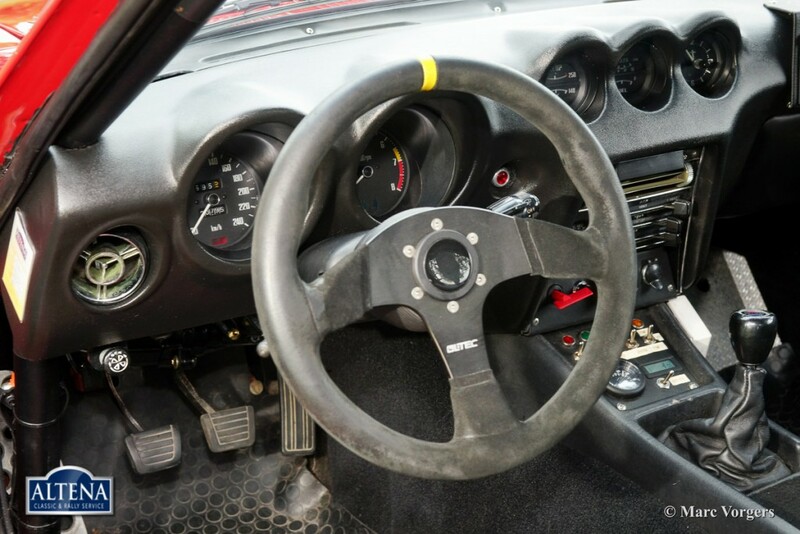 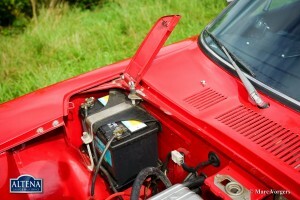 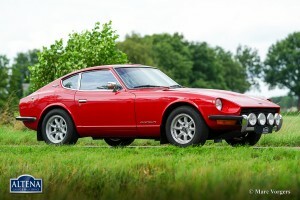 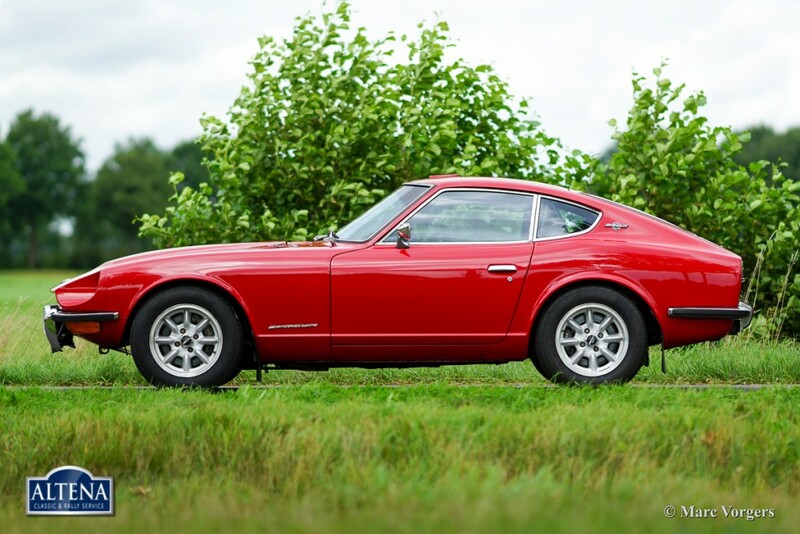 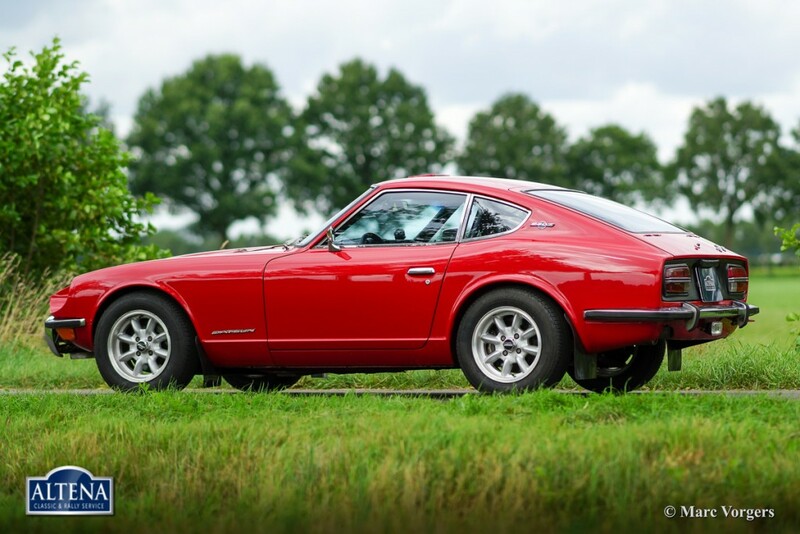 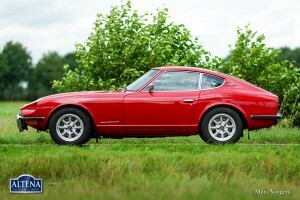 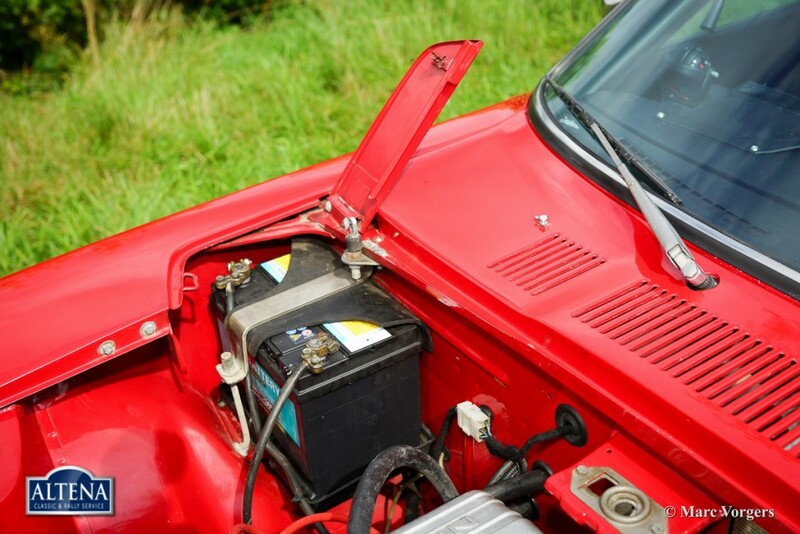 The 240Z proved to be very robust and capable and it was successful in the rally competition In 1973 the 240Z was succeeded by the 260Z which was given a 2.6 Litre engine. 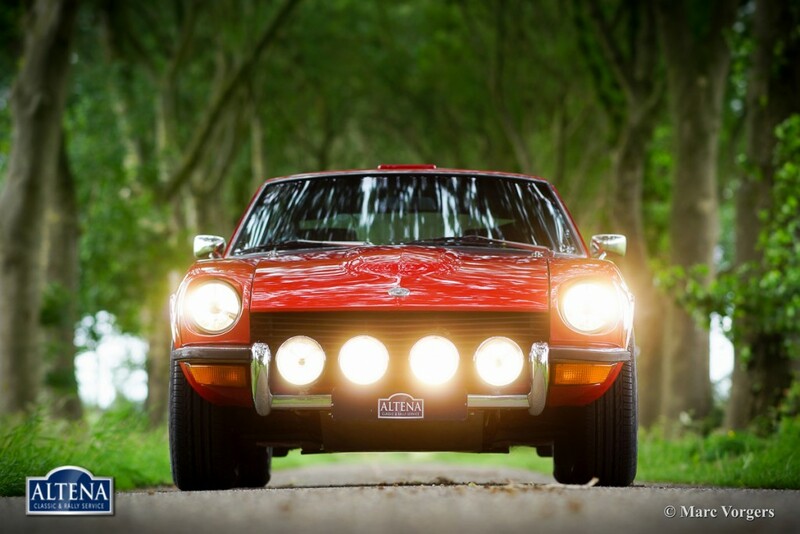 Datsun 240 Z rally car, year 1971. 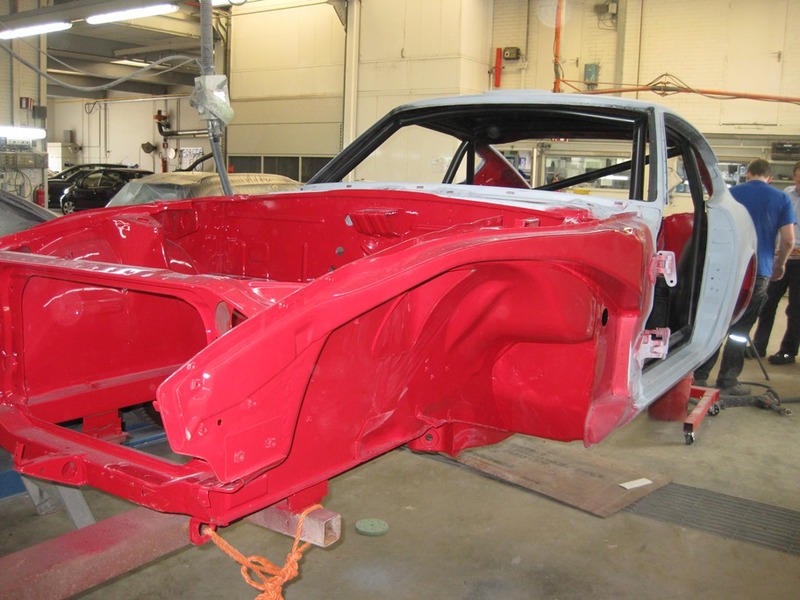 Chassis number: HLS30-20120. 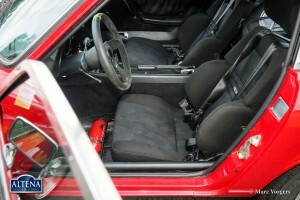 Colour red with a black rally interior. 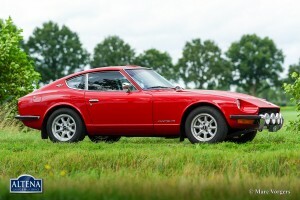 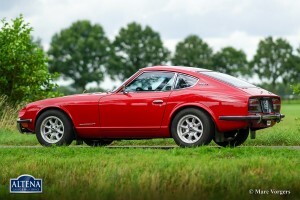 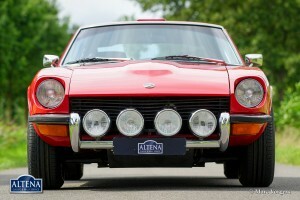 This tremendous Datsun 240 Z was restored/built/prepared by Altena Rally Service in the year 2010. 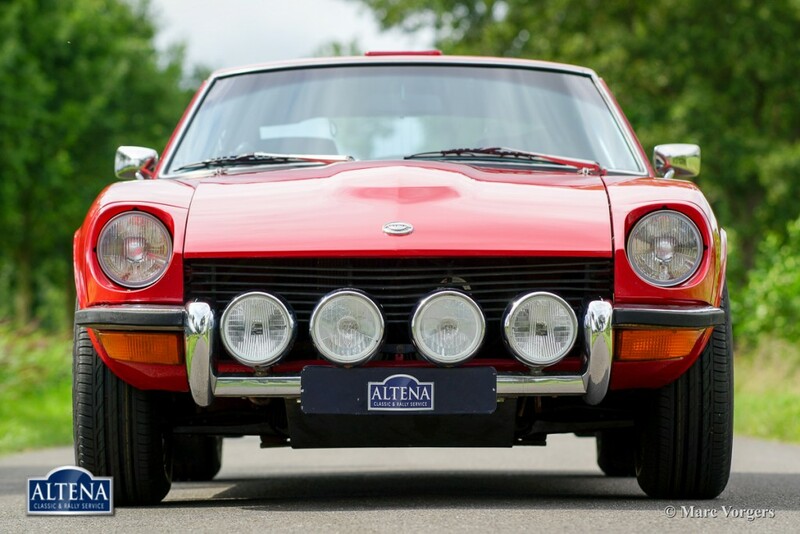 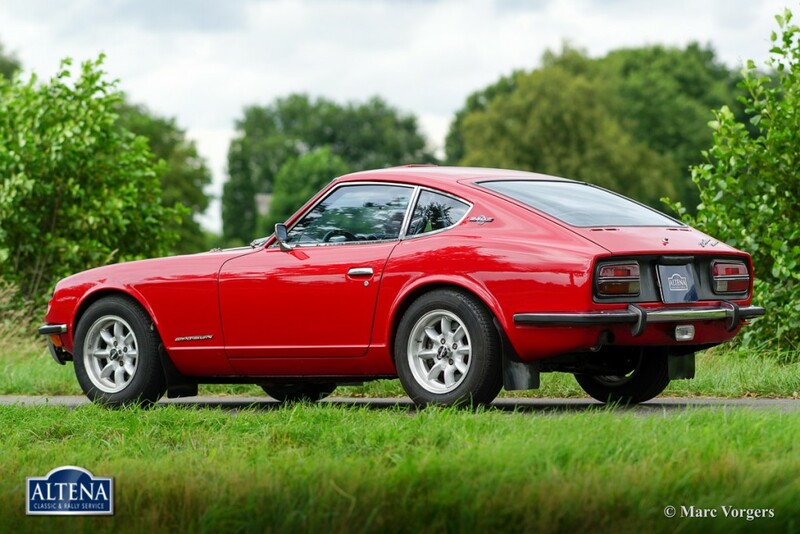 This Datsun 240 Z rally car is in superb (excellent+) top condition! The automobile was fully stripped and work started from the bare body shell! 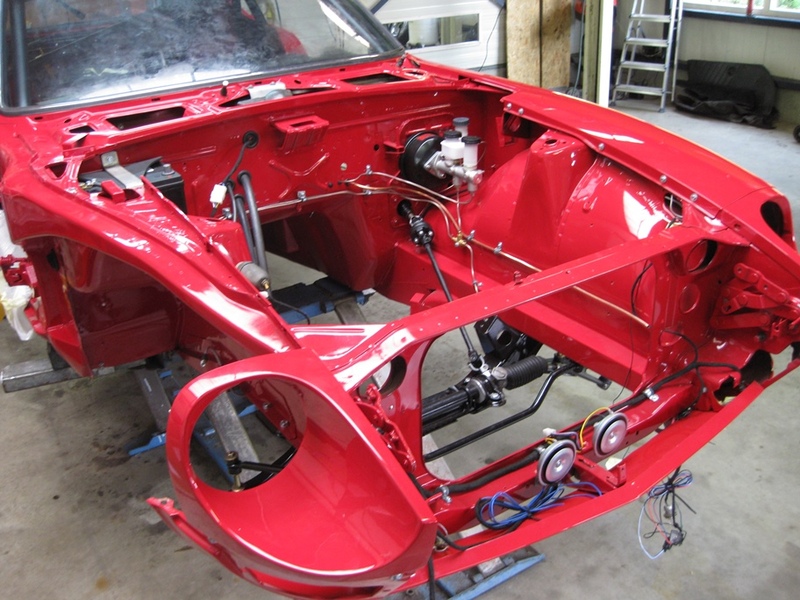 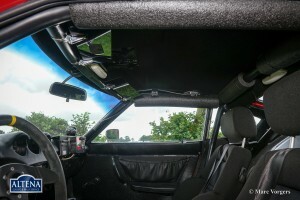 Short description of the work carried out/options fitted: a special roll cage was welded in, body-shell painted and built up with the best parts available. 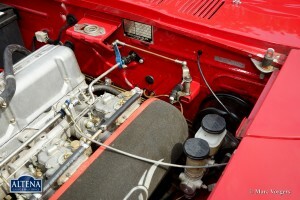 Fitted are special hand made Koni shock absorbers, a special 100 Litre aluminium petrol tank, custom made electrics. 6 cylinder engine, limited slip differential, 5-speed close ratio gearbox, special exhaust system, electric power steering, special comfort sport seats and much more, please inquire. 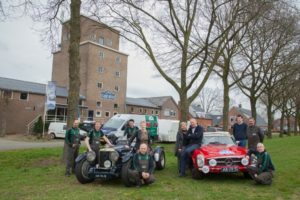 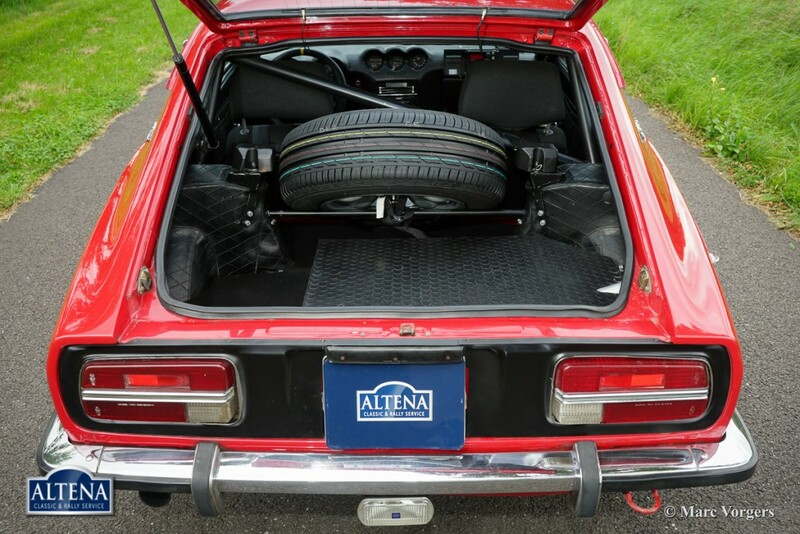 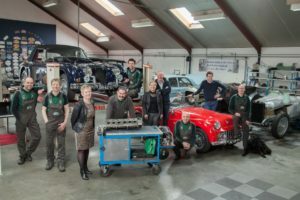 Altena Classic Service have put 30 years of rally experience and knowledge in this very special rally car. 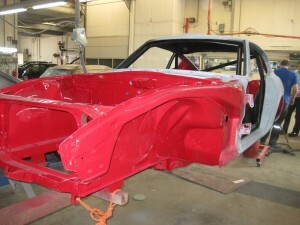 The car is perfectly documented as is the restoration/preparation of which a photo reportage is present. 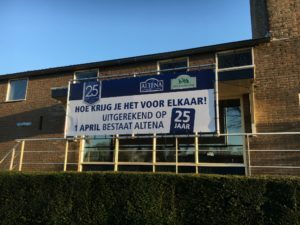 Have a look at the Altena website for preparation photos. 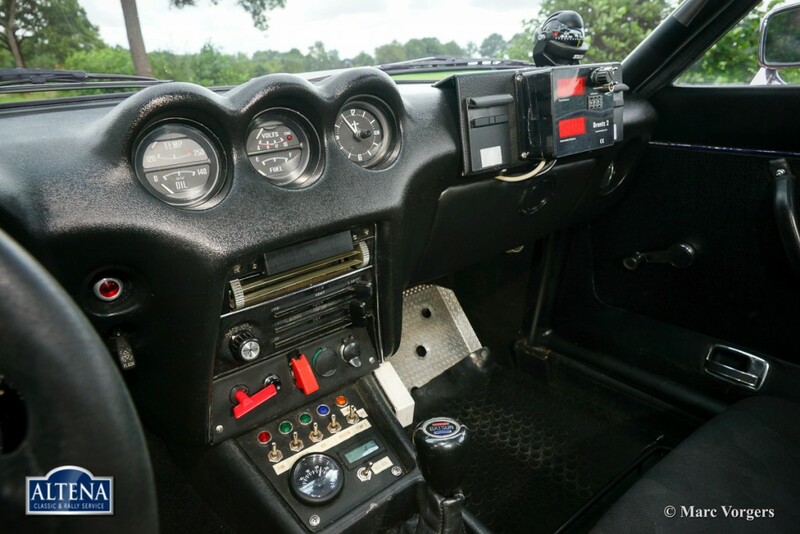 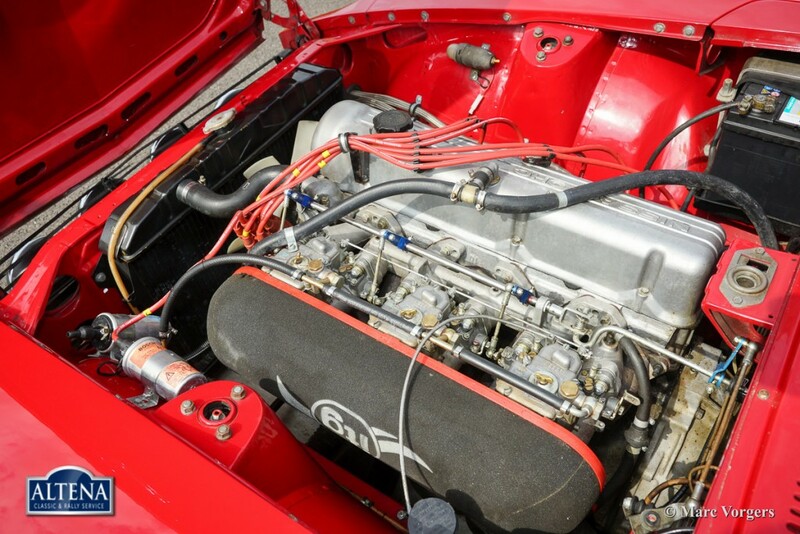 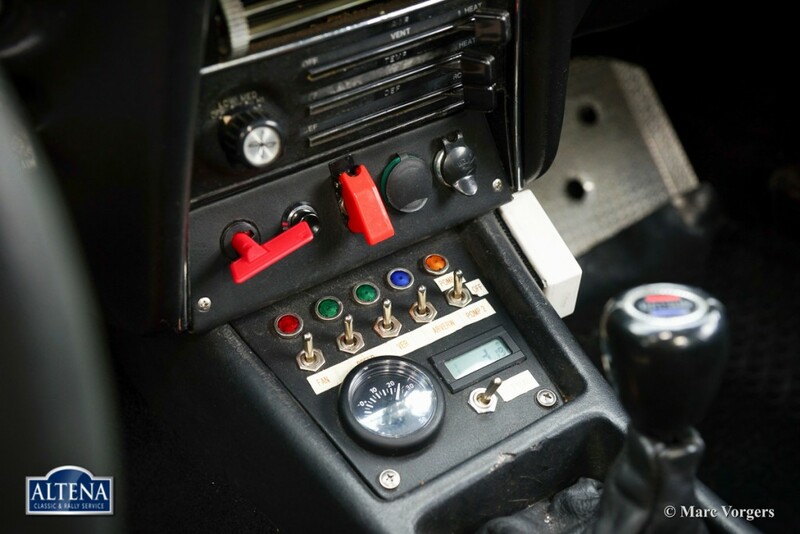 Costs nor effort were saved to built a sublime and highly capable historic rally car. 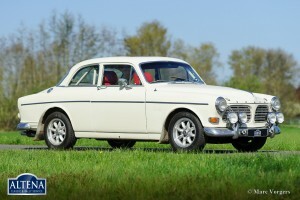 This rally car is the right tool for the discerning rally historic driver who wants only the best.